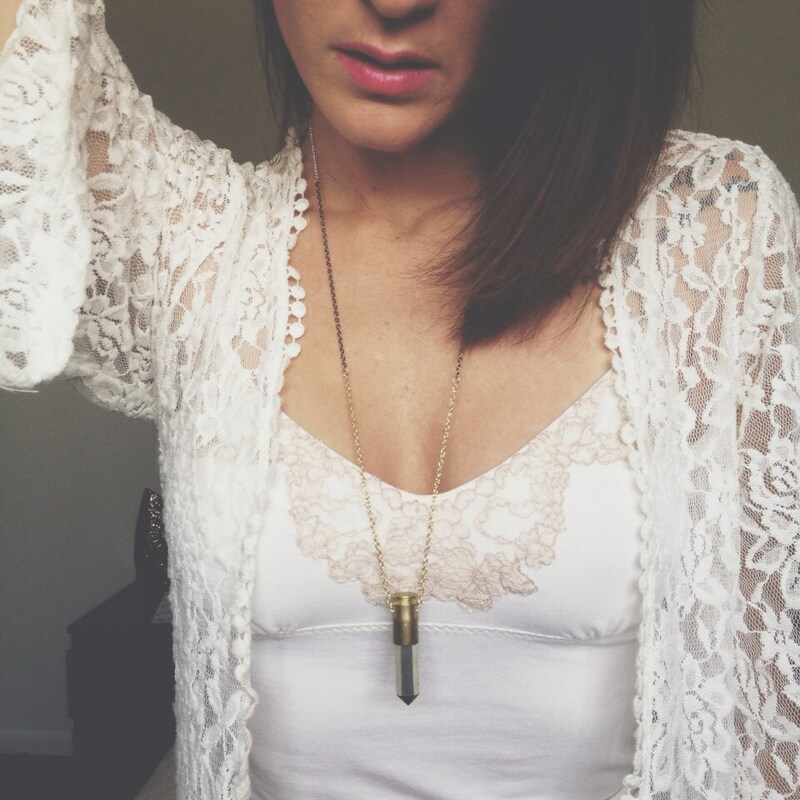 The Big Bang Reloaded Necklace is edgy and will bring an unique look to any outfit. 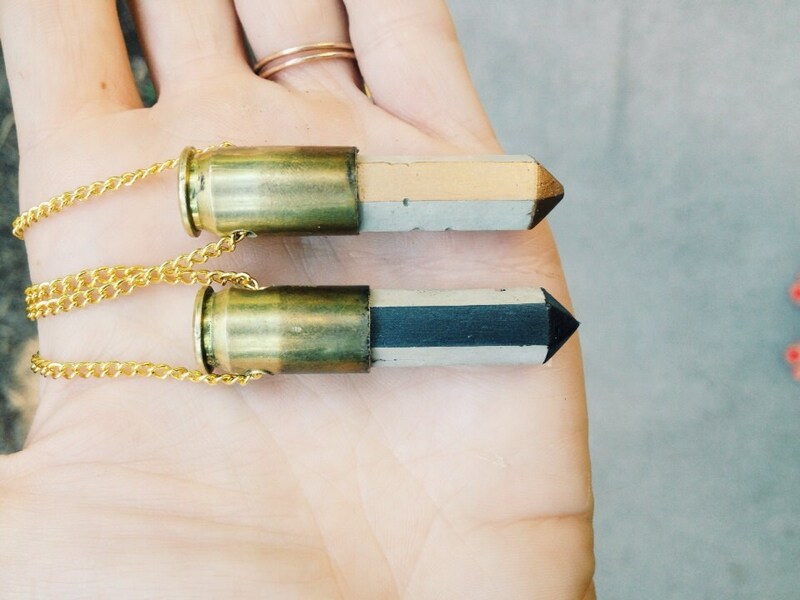 This necklace is a handmade long concrete prism reloaded into a .45 cal. 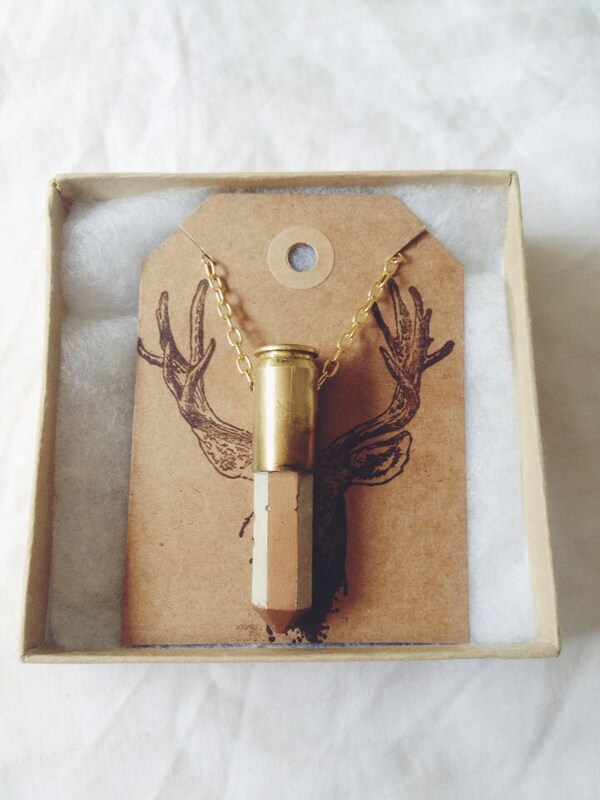 bullet case. 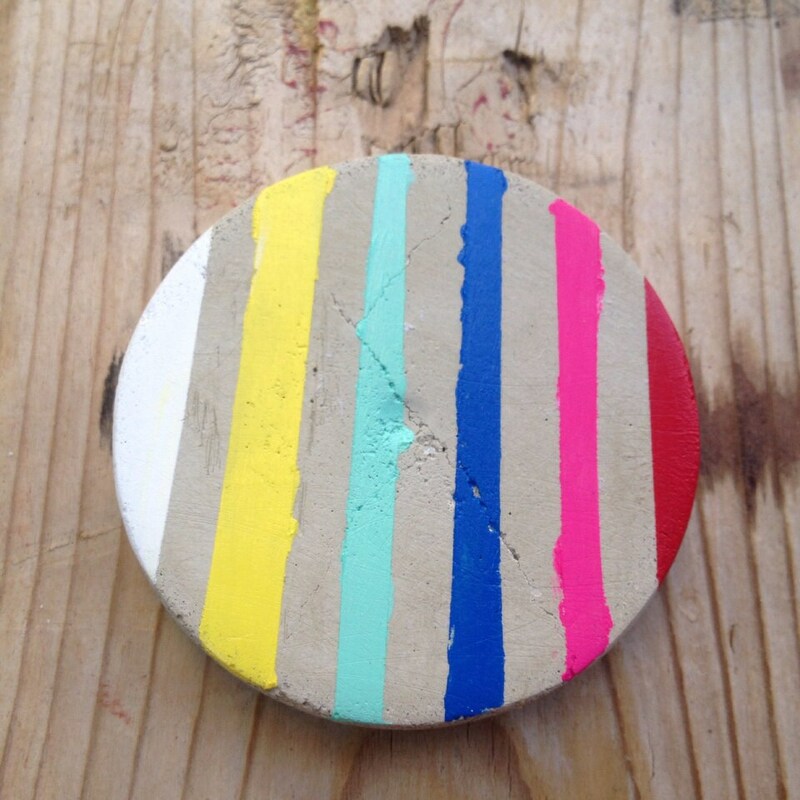 The concrete prism is a 3.5mm hardware pendant, hanging on a long 30 in. gold, silver or gunmetal chain. 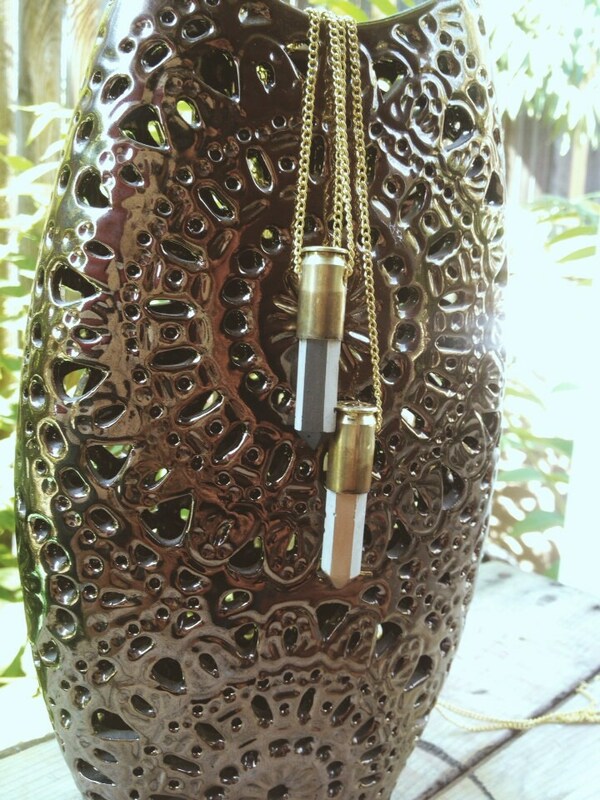 The necklaces shown are with a gold or gunmetal painted geometric design, but other colors are available. The other options are white, habanero red, party streamer pink, dark indigo blue, light beach glass blue, and chamomile yellow. Please refer the last photo to see the color wheel, to chose the perfect color for you. All pendants are protected with a clear seal for long wear. love it. really fast delivery.